As a long time Speedgoat Cycles fan from growing up and riding throughout the Mid-Atlantic and NE, I've followed Chris' work over the years including the development of his suspension system. I'm impressed and look forward to first rides which are certainly around the corner. 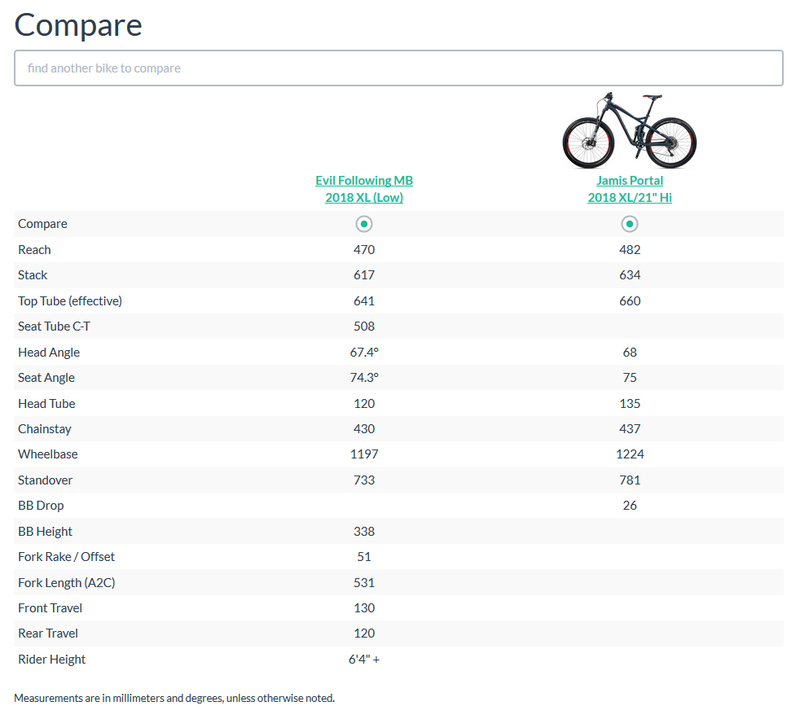 It checks some boxes for me: new and innovative; available in alloy; tidy suspension with good aesthetics and; likely affordable coming from Jamis. No doubt! Can't wait to hear what the pricing is...just bought a new bike for the year but this bike (specifically the Portal) is on the radar if that bike isn't what I want it to be! SR Suntour guru. envelo rep. I'm hoping there is an inexpensive version of the Portal. Looks great. Can't wait to hear riding impressions. The numbers look good on the Portal and the new suspension design too! The real test, of course, will be out on the trail. Alum and carbon versions to come I hope as these look nice! I emailed Jamis and they said late summer. Seems so far away. Hopefully someone will get ride impressions before then. Hopefully someone will get ride impressions before then. Well to make your decision more difficult, I have a Release 2 and it's a fantastic bike. Haha, well, in a way it makes it easier only because I know the Jamis won't be as cheap even though it'll probably still be reasonable. But I also want a new car so I have to figure out what I want to spend my money on the most. And my 2009 Jamis XCT 2.0 is still doing pretty well, it would just be nice to experience the advances made in bikes in 8-9 years. if this were a Specialized or an Evil, minds would be blowing. just got a response from them, they'll have some to Demo in tahoe for interbike in Sept.
What a joke of a roll-out. So we'll have to wait for having more news about these bikes. In Europe we'll have some bikes in October in the shops and the first customer deliveries will be in January. I've tried recently an Evil the following MB size XL and it was really fun. It seems that the Portal have quite the same geometry. Any advice? The Evil bike is fun but expensive and don't seems really reliable. I think the Jamis is very promising and worth waiting for. Not a single pivot like the Evil. any word when they hit the dealers ? wonder if they'll have any sea otter demos? FactoryMatt, They will have about 8 bikes there on display, however they are not going to have any demo rides going on. Here is the link to the demo tour ,https://www.jamisbikes.com/usa/event-calendar.html, looks like the demo fleet is on the other side of the country now. its only showing into May but in NC, VA area during the next few months. Check with some local dealers, they may have one to check out. The link sent shows Sea Otter as a Demo event. If a AAA brand came out with this design it'd be everywhere. Such a shame that marketing budget behind it seems so limited (and the lack of a carbon version). Around Town Bikes in Wilkes Barre, Pa. has Portal and Hardline with one demo bike available. From what I was told carbon coming next year. I just wish the spec was a bit better for the price. Should be a 1x12. So Syd Schulz has a pic of the new carbon Jamis Portal that's apparently out there somewhere. No mention of it anywhere else but it looks siiick af. Man Jamis' marketing is so so bad. what a shame. Jamis XCT 4: BEWARE of Jamis Carbon Technology!! !